Meyer played for Cambridge, and Somerset, and led Western India, but is remembered mostly as founder of Millfield School. “Eyewitness testimony is provided by Mr Skinner, of Oxhey, who says in the late Forties he saw the inimitable R J O Meyer, captain of Somerset, bowl out a Kent batsman with a high dropping full toss. As Mr Skinner remembers it, Meyer delivered an over of such balls during which the unfortunate batsman became confused by his unorthodox attack and stood away from his wicket in bafflement, only to see the ball land on top of his middle stump. ‘Boss’ Meyer, a renowned individual thinker who founded Millfield School, was said to have practiced bowling the high lob while headmaster at Millfield. He was dissuaded from making it his specialty in county cricket by the appearance of Godfrey Evans at the crease. Evans, who enjoyed a joke, swatted Meyer’s next over all around the park using his bat one-handed like a tennis racket. So far as we know, this was the last time the high dropping full toss was deliberately used in county cricket.” — Michael Parkinson, 1999. It is said that the late Sir Arthur Conan Doyle had once had the mortification of being dismissed in a similar fashion in a Second-Class match by ‘Bunny’ Lucas. The freak dismissal is reported to have planted the germ of an idea in the fertile imagination of the prolific author that had resulted in the creation of the fictitious asthmatic schoolteacher with a “weak heart” named Tom Spedegue, who, despite his physical deficiencies, used to take an interest in cricket. Cricketer himself, and an avid cricket blogger, Martin Moseling, having probed the veracity of the story quoted above from existing match records, finds it to be as much of a figment of Skinner’s imagination as the fictitious bowling style of Spedegue, of the looping lobs that were said to land on the stumps of surprised batsmen. In the context of RJO ‘Jack’ Meyer, however, it may be said to be very much in character for the engaging eccentric. The Rev. (Horace) Rollo Meyer, Derbyshire cricketer, and a clergyman of the Church of England denomination, and his wife Arabella Crosbie, née Ward, welcomed their middle son (out of three) on March 15, 1905 at the Rectory, Ampthill, a town and civil parish in Bedfordshire, between Bedford and Luton. Though the child had been formally christened Rollo John Oliver, he was known universally as “Jack.” In a treatise entitled The History of Millfield 1935-1970, Barry Hobson goes into considerable detail to depict the life and times of Jack Meyer. Eight-year old Jack joined his elder brother at Stratheden School, Blackheath in 1913, before going on to Haileybury College on a scholarship in 1918. Founded in 1804, the seminary had originally been intended for the education of children of British employees of the East India Company, but was to later open its doors to the offspring of other families as well. The aim of the institution had traditionally been to prepare the students for a life of ‘service’, be it in the Church, or in the Armed forces, or in public administration. During his time at Haileybury, Meyer’s natural gift and proficiency at almost all ball games was to make him one of the outstanding athletes of the immediate post- World War I era. Meyer matriculated and went up to Pembroke College, Cambridge, in 1923, as a tall, wiry, tense, restless figure aged 18.This was a time when many freshmen at Cambridge and Oxford, particularly if they had happened to be good players, would be happy to just be awarded a Blue, and perhaps cater to their scholastic attainments by merely passing the Responsions, the first of three levels of examinations that needed to be passed successfully for a university degree. In an article entitled Rollo Meyer: Visionary and Founder of Millfield School, PJ Lennon writes that, while at Cambridge, 18-year-old Meyer had struck up a firm friendship with Tom Lowry, later to captain New Zealand and to play the first 7 Tests played by his country. Meyer and Lowry founded the Hellfire Club at Cambridge. According to Richard H Thomas in All Out Cricket, the initiation ceremony that Meyer and Lowry had thought of consisted of the incumbent blowing three smoke rings and then spitting through the rings. Meyer was to himself admit later: “In those days there were very few who were trying to get both Blues and degrees, and it was rather easy to get offers of jobs.” By 1926 his profile boasted a cricket Blue in all three years and a Half-Blue for racquets, backed up by an Honours Degree in English Literature. At this pint of his life he began to think that he was now ready to make a living for himself. He began by driving a lorry during the Great Strike of 1926. Cricket occupied a lion’s share of his time during his tenure at Cambridge, Meyer winning his first Blue in his freshman year. He made his First-Class debut playing for Cambridge against Lancashire at Fenner’s in 1924; he scored a duck but picked up 5 wickets in the match including 4 for 51 in the first innings. Between 1924 and 1926 he played 30 First-Class matches for his university, scoring 609 runs at 15.22, with a solitary fifty, and capturing 133 wickets at 23.66, with best figures of 7 for 24, against Leicestershire in his penultimate year. His sporting prowess helped him to accept an offer from Harrow to help the master in charge of racquets. This provided Meyer the opportunity of playing Minor Cricket for Hertfordshire during the school holidays, and subsequently also playing 2 First-Class games for Minor Counties. His profile lists 29 Second-Class games for Hertfordshire between 1923 and 1929, during which he is seen to have scored 1,437 runs at 35.92 with 5 centuries, and 142 wickets at 18.52. Meyer gradually developed into a right-handed batsman, particularly renowned for his stylish straight- and on-driving. His bowling, however, was another matter altogether. 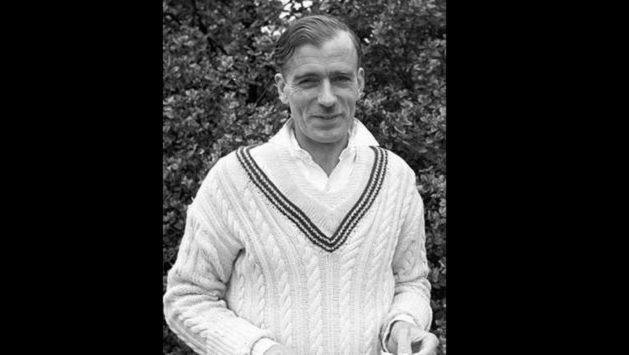 In the words of David Foot: “The daring variety of his bowling, during which he could summon up late swing and bamboozling medium-paced leg-breaks (often six different balls in an over), was inclined to look more of a lark.” Meyer would often keep Somerset wicketkeeper Wally Luckes completely in the dark about what he was about to send down to the batsman, explaining that even at the point of delivering the ball, he would often not be sure himself of what he was about to bowl. Against the visiting South Africans at Lakenham in 1924, his bowling was good enough on behalf of the Minor Counties team to net him 6 for 60, his victims including George Hearne, Fred Susskind, Dave Nourse, Herbie Taylor, and Bob Catterall. He dismissed Catterall in the second innings as well. He also performed well with bat, scoring 26 and 30 in a game that the Minor Counties won by 25 runs. On the lookout for a means of making a living after emerging from Cambridge in 1926, Meyer’s Haileybury connections stood him in good stead, and he was prevailed upon, while he was at Harrow, to accept a situation in the cotton trade as a trainee broker, and shortly found himself on a steamer, bound for India. The young man arrived at erstwhile Bombay in due course. Meyer, the fresh Cambridge Cricket Blue, and perhaps yet to get over his youthful naivety, thus found himself in the midst of a critical politico-economic meltdown, a situation that he found difficult to adjust to. The ongoing Indian National Movement, which had received a setback with the demise of CR Das in 1925, was reignited with the appointing of the Simon Commission in 1927, there being no Indian member nominated in the seven-member panel. Several prominent Indian political leaders began to intensify the demand for the full independence of India. Things were to come to a head with the Salt March by Mahatma Gandhi on March 12, 1930. In this bewildering maelstrom of political events, Meyer found solace in the familiar ambience of cricket fields, and required very little cajoling to join the ranks of the Europeans in the Bombay Quadrangular, in vogue at the time, in the absence of any formally structured regional First-Class cricket tournament in India at the time. Meyer was to play 6 matches for the Europeans between 1926-27 and 1934-35, scoring 304 runs at 25.33, with a highest of 85. His four fifties came in successive matches: 50 against Muslims in 1927-28, 66 against Parsees in 1928-29, 85 against Parsees in 1929-30, and 51 in his last game for the Europeans, against Hindus, in 1934-35. His bowling on behalf of the Europeans brought him 50 wickets at 15.28, his best figures being 9 for 160, against Muslims at Bombay Gymkhana (later to stage the very first Test match of all on Indian soil), in 1927-28. Perhaps a little elaboration may be in order here, considering the importance of the game in the context of Meyer’s First-Class cricket career. 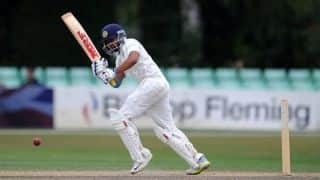 When skipper Mohammad Vishram won the toss for the Muslims and decided to take strike, he would probably not have imagined that the innings would be over in a mere 28.3 overs, with the total reading 59. The only man in double figures was Mohammad Hussain, brother of the SM Hadi. Hussain barely made it into double figures with a score of 10. Bowling unchanged from one end, Meyer accounted for 7 of the wickets at a personal cost of only 28. The Europeans replied with 217, with William Cullen’s 79 being the only individual fifty. That left the Muslims with a deficit of 158 when they began their innings on the second day. To their credit, they hey ended the day at 216 for 5, with Dilawar Hussain on 18 and Vishram on 8. The fall of Hussain’s wicket at 248 brought Abdus Salaam to the wicket. Salaam (111) was the next to go, at 435, but not before the seventh-wicket stand with the skipper had realised 187. The next three batsmen on the card were all dismissed for ducks, the valiant skipper remaining undefeated on 75. The innings folded up at 437, with Meyer capturing 9 for 160, his best First-Class figures. His 16 wickets in the game were achieved at a cost of 188. Meyer’s match haul of 16 for 188 was the second-best individual performance with the ball for any First-Class game played in India at the time, after the 16 for 69 by Frank Tarrant for England against India at Bombay Gymkhana in 1915-16. In the last innings of the game, the winning target for the Europeans was 280. 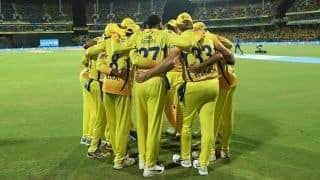 Bolstered by 120 by Cullen and a fourth-wicket stand of 82 with Meyer (50), followed by a fifth-wicket stand of 80 with Gaillard (33*), the Europeans were able to win the game by 4 wickets. In India, the young Meyer gradually came into contact with another section of the Indian populace, the so-called upper class, members of the princely and royal families, heads of the largely independent Princely States of India at the time, under the benign titular jurisdiction of the British Viceroy. This segment of the Indian population, however, was keen to follow British values and customs, and was anxious for their progeny to be educated in the best public schools and colleges of England, so that, in addition to a proper English education, they could be initiated into the various British sports that these upper class Indians found so appealing. Meyer’s cricket connections in India brought him into contact with one such royal luminary at this time. Ranjitsinhji advised the young Meyer to opt out of his unrewarding and uninspiring job as a cotton broker, and to concentrate his energies on tutoring the young scions of the royal families in their quest for a holistic British education. In 1929, Ranji offered Meyer a teaching assignment at his own Princely State School, an offer that Meyer was quick to accept. The move to Dhrangadhra in 1932 was prompted by the fact that by now, Meyer had already met Joyce, daughter of English parents, but brought up in considerable comfort in India surrounded by a plethora of servants and ayahs, and had been married to her in 1931, was in need of a more permanent situation. The Maharajah of Dhrangadhra had initially created the Palace School for the education of his own children and for the children of his Ministers and civil servants. In 1932, there were about a hundred students in the seminary. In his later years, Meyer was to reminisce: “I found myself teaching some twenty or so boys and girls with age range of twenty‐two down to three and an IQ range of eighty to one hundred and forty. Half of them knew no English and I knew no Gujarati. A method of graded small group tuition had to be devised to meet the situation.” This was to form the basis of his teaching later at Millfield School. Meyer’s alternative career, and one that was to earn him great fame and honour in his later years, was thus launched in a small princely state of India, under the colonial Eastern Kathiawar Agency, in what is now Saurashtra. The royal ruler of the state went under the honorific title of Maharaja Sri Raj Sahib, and was entitled to a salute of 13 guns. These events in Meyer’s life, though financially and altruistically rewarding for him, did not, in any way, divert his mind from cricket. When the Ranji Trophy first got underway in 1934-35, Meyer was to be found leading the Western India team against Sind in the second game of all in the history of the tournament. Ghulam Mohammad won the toss for Sind at Karachi. Sind did not last long, the only man in double figures being Naoomal Jaoomal (63), just over half the team total of 125. Narsingrao Kesari captured 5 for 12, while skipper Meyer held 3 catches. Meyer (20) then added 47 for the first wicket with Faiz Ahmed (62). Western India responded with 219, Naoomal Jaoomal taking 5 for 78. Under a handicap of 94 runs, the Sind second innings total was 210, Naoomal Jaoomal (53) scoring his second fifty of the match. Resuming at 81 for 5 on the final day, Western India won by 4 wickets; Meyer top-scored with 29. Meyer played his second (and last) Ranji Trophy match against Bombay at Bombay Gymkhana Ground. Winning the toss, Dattaram Hindlekar and Vijay Merchant added 141 for the second wicket, and Bombay amassed 377. Amar Singh (4 for 93) and Meyer (3 for 111) were the main wicket-takers. It was a sorry procession as the Western India, wickets fell in a flurry. The only saving grace was 82 from Sorabji Colah in a very inadequate total of 154; Meyer contributed 1. Bombay were then bowled out for 164, captain LP Jai scoring 55. Brothers Amar Singh (6 for 71) and Ladha Ramji (4 for 29) shared the wickets. Set a target of 388, Western India were dismissed for 241, conceding a 146-run victory. Standing tall amongst the ruins of the innings, Meyer, opening the batting, scored 91, his highest individual First-Class score till date. Rather surprisingly opening the bowling, Merchant had figures of 4 for 31. This was to be the last First-Class match played by Meyer in India. Being a man proficient in many sports, Meyer was to become the Indian National Champion at racquets and billiards. By 1935, Joyce and Jack had two young daughters, Jillian and Jaqueline. The Maharajah of Dhrangadhra was anxious that his three sons should be imbued with a proper British education and upbringing and urged Meyer to exert himself to prepare them for the better known English public schools and for subsequent admission to Oxford or Cambridge. Seizing the opportunity, Meyer decided to leave Indian shores behind after a nine-year sojourn, and to go back to the country of his birth. The next phase of the life of Meyer takes us back in time to the year 1889, and to one William Stephens Clark, who had been the guiding light of the shoe-making firm of C and J Clark for the past 25 years. William chose to build the family mansion in Street, a large village and parish town of Somerset, in the year mentioned. Over time, Clark’s estate, known as the Mill’s Field estate, was to include a stable block, a well-laid-out kitchen garden, and a cottage for the gardener. It was to also include certain features not usually seen in Victorian mansions, like secret doors, staircases and passages. The estate also boasted a Swiss chalet, an open-air swimming pool, and a small boat-house. In 1935, the Rev. Horace Rollo and Arabella Meyer rented the property, now known as Millfield, for residential purposes. They welcomed Joyce, Jack, their two granddaughters, and Jack’s retinue of Indian students at the estate. Meyer’s Indian wards, seven in number, included six ‘princelings’ in 1935, the three sons of the Maharajah, three of their cousins, and the child of one commoner. The school had a relatively humble beginning on June 6, 1935, primarily as an institution where, under the guidance of Meyer, the Indian boys were to ‘cram’ for admission into British Public Schools. Joyce and Jack adopted the role of tutor-guardians and provided a home from home for the young Indian students throughout their time in England. During his stint at Dhrangadhra, apart from academics, Meyer had tried to inculcate interest in his students in such diverse activities as horse-riding, shooting, swimming, cricket, tennis, and gardening, as part of the British education philosophy of “men sana in corporesano” — a healthy mind in a healthy body. A groom was engaged at Millfield to look after the horses, and a group of gardeners was employed to help the Indian students to continue their training in gardening. A fairly large number of domestic staff members were employed to cater to the personal needs of these youngsters of royal blood. Despite the humble beginning, Millfield began to blossom, becoming one of the first independent schools to become co-educational in 1939. It is on record that Martin, son of the then Deputy Prime Minister, Clement Attlee, had joined Millfield in 1942 in the hope of being able to overcome his ‘dyslexic’ status. By the time he had completed his university education, Millfield had gained the reputation of becoming the first educational institution in England to deal successfully with the issue of “dyslexia” among children. It was now 1936, and, with the onset of summer, it was time to bring the cricket creams out again.At the age of 31, Meyer found himself making his County Championship debut in 1936, when the season was already well underway, for Somerset against Northamptonshire at Bath. Considering that his school was running fairly smoothly by now, Meyer could indulge in cricket only during the school holidays. Meyer was fortunate to be making his debut for Somerset at this time, the team already having in its ranks players of the calibre of opener Frank Lee; swashbuckling Harold Gimblett, in his second First-Class season; Reggie Ingle, in his penultimate season as Somerset skipper; legendary all-rounder Arthur Wellard; and long-suffering wicketkeeper Wally Luckes, among others. Somerset won by 105 runs, Wellard contributing 70 in the first innings and capturing 6 for 54 and 6 for 69. Gimblett scored a scintillating 143 in the second innings, sharing a first-wicket stand of 114 with Lee (53). Meyer’s contributions were 16 and 22, and 28 overs for no wicket. This period was also, perhaps, the dawn of his legendary eccentricity. Foot cites an incident of Meyer of once holding up play in a championship match against Northamptonshire after he had dropped a catch offered by Dennis Brookes off Wellard, and then going up to the bowler with a £1 note in hand and profuse apologies for his lapse in the slips. There is a story of a championship game being played in uncertain weather in which Somerset had taken field with ten men, Meyer following shortly carrying a red umbrella. He was known to roam the grounds of his school with his golf kit on hand and to occasionally practise driving the ball into his own living room through the open window. One wonders what Joyce would have thought of all this. His inaugural season with Somerset was to prove quite profitable for him. He “made his bones” with Somerset in his second game of the season, a home match against a strong Yorkshire team led by Brian Sellers, although the visitors won the game quite convincingly by an innings and 152 runs. Meyer had figures of 5 for 111 in the first innings, and top-scored with 43 and 32 out of 116 and 94. It was August 29, and the schoolmaster’s mind was at rest with the holiday season upon him. The adversaries this time were Lancashire, who batted first and put up 423, Cyril Washbrook scoring 103 as Bill Andrews captured 6 for 126 for Somerset. Somerset replied with 253, Mandy Mitchell-Innes (127) contributing just over half the total. Following on, they were 122 for 5, still 48 in arrears. Meyer stood tall, first adding 90 for the sixth wicket with John Barnwell, then adding a further 72 runs with Wellard. When time ran out on the drawn game, Meyer was left undefeated on 202, scored in 225 minutes, his highest First-Class score. In all, between 1936 and 1949, Meyer played 65 matches for Somerset, scoring 2,929 runs at 28.16, with 2 centuries. He also had 16 fifties, and held 33 catches. His 133 wickets for Somerset came at 28.31, and his best analysis of 7 for 74 came against Northamptonshire in 1947. He was captain of Somerset for 26 matches. Known affectionately and respectfully as the ‘Boss’ at Millfield, Meyer followed the Robin Hood principle in which affluent families often subsidised the education of deserving children of less privileged families. Meyer’s progressive and liberal attitude towards education resulted in the likes of Sean Connery, Elizabeth Taylor, Charlie Watts, King Hussain of Jordan, and Adnan Khashoggi to entrusting their offspring to his care. Several students of Millfield grew to become well-known sporting personalities, including Welsh rugby legend Gareth Edwards, and cricketers Ian Botham, Craig Kieswetter, Peter Denning, Simon Jones, Ben Hollioake, David Engrave, Lilly Allen, Oliver Reid, and Peter Roebuck. Roebuck, himself a complex character forever fighting his own demons, and later to die by his own hand under tragic circumstances, called his mentor “a gambler, golfer, chess player, scholar, scrounger and crossword-solver”. Referring to his captaincy of Somerset in 1947, Roebuck was to later say, “surprise was his weapon, experiment his fancy, dullness his enemy but inconsistency his weakness”. Following Christmas of that year, Gimblett was on sleeping pills and had to spend 16 weeks in a psychiatric hospital. By 1954, when Gimblett had parted ways with Somerset, and had applied for a teaching job at Millfield, Meyer not only gave him the situation, but also took his son in as a pupil. Gimblett was to spend twenty years at Millfield. He used to say that Meyer “could charm the hairs off a gooseberry.” Despite best efforts, however, and despite using all his charm, Meyer was not able to reinstate Gimblett in the Somerset team. At the outbreak of World War II in 1939, many of the male members of the Millfield staff, led by Meyer himself, volunteered for military service. Meyer, 34 and already in the grip of lumbago, was sent back to his campus. He was later given a Royal Air Force Volunteer Service commission as a Flying Officer, later upgraded to Flight Lieutenant, and given the responsibility of organising and commanding the Glastonbury and Street Schools Squadron of the Air Training Corps as part of the British war effort. In 1967, Queen Elizabeth II appointed Jack Meyer an OBE for “services to education.” A compulsive gambler, an unsubstantiated story says that his tenure at Millfield was to end rather abruptly in 1971 when he became involved in an imbroglio involving an all-night gambling session and a bag containing school fees. Meyer moved to the idyllic settings of Greece in 1973 to become the Headmaster of a school just outside Athens called St. Lawrence College, home to about 770 students between the ages of 3 and 19. Founded by Galinos Karakostas with the idea that the students would be brought along traditional British principles, the chemistry between the founder and Meyer turned out to be beneficial for the students. Jack Meyer passed away on March 9, 1991 in a hospital at Kingsdown, Bristol, aged about 85. Wisden reported: “As a cricketer, perhaps results did not come up to expectations, but the professionals, if bemused by the eccentricity of his ‘strategies’, appreciated his concern for their well-being”.